In its July Cybersecurity Newsletter, the Department of Health and Human Services’ Office for Civil Rights has reminded HIPAA covered entities about HIPAA Rules for disposing of electronic devices and media. Prior to electronic equipment being scrapped, decommissioned, returned to a leasing company or resold, all electronic protected health information (ePHI) on the devices must be disposed of in a secure manner. HIPAA Rules for disposing of electronic devices cover all electronic devices capable of storing PHI, including desktop computers, laptops, servers, tablets, mobile phones, portable hard drives, zip drives, and other electronic storage devices such as CDs, DVDs, and backup tapes. Healthcare organizations also need to be careful when disposing of other electronic equipment such as fax machines, photocopiers, and printers, many of which store data on internal hard drives. These devices in particular carry a high risk of a data breach at the end of life as they are not generally thought of as devices capable of storing ePHI. If electronic devices are not disposed of securely and a data breach occurs, the costs to a healthcare organization can be considerable. Patients must be notified, it may be appropriate to pay for credit monitoring and identity theft protection services, and third-party breach response consultants, forensic investigators, and public relations consultants may need to be hired. OCR and/or state attorneys generals may conduct investigations and substantial financial penalties may be applied. Breach victims may also file lawsuits over the exposure of their financial information. The costs all add up. The 2018 Cost of a Data Breach Study conducted by the Ponemon Institute/IBM Security highlighted the high cost of data breaches, in particular healthcare data breaches. The average cost of a breach of up to 100,000 records was determined to be $3.86 million. Healthcare data breaches cost an average of $408 per exposed record to mitigate, while the cost of data breaches of one million or more records was estimated to be between $40 million and $350 million. It is not possible to ensure that all ePHI is disposed of securely if an organization does not know all systems and devices where PHI is stored. A full inventory of all equipment that stores ePHI must be created and maintained. When new equipment is purchased the list must be updated. A full risk analysis should be conducted to determine the most appropriate ways to protect data stored on electronic devices and media when they reach the end of their lifespan. 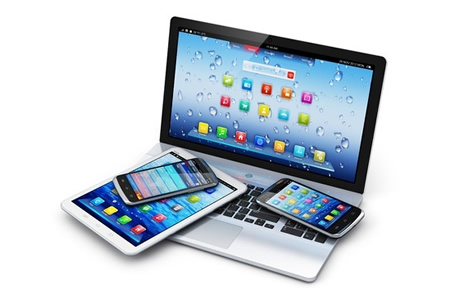 Electronic devices should be “cleared, purged, or destroyed consistent with NIST Special Publication 800-88 Revision 1, Guidelines for Media Sanitization,” to ensure that ePHI cannot be retrieved. If reusable media are in use, it is important to ensure that all data on the devices are securely erased prior to the devices being reused. Before electronic devices are scrapped or disposed of, asset tags and corporate identifying marks should be removed. Third party contractors can be used to dispose of electronic devices, although they would be considered business associates and a business associate agreement would need to be in place. All individuals required to handle the devices must be aware of their responsibilities with respect to ePHI and its safe handling and should be subjected to workforce clearance processes. Organizations should also consider the chain of custody of electronic equipment prior to destruction. Physical security controls should be put in place to ensure the devices cannot be stolen or accessed by unauthorized individuals and security controls should cover the transport of those devices until all data has been destroyed and is no longer considered ePHI. The OCR newsletter, together with further information on secure disposal of ePHI and PHI, can be found on this link (PDF).